Diane Birch's 2010 debut "Bible Belt" has been a mainstay of my playlists for quite a while now. So I jumped at the chance to watch her perform live in New York City at a venue I had never been to, but at the same time, knew would be perfect to showcase Diane's voice and her self-proclaimed "old soul". She played most of "Bible Belt", but also some new tracks, including one with a particularly R-rated chorus where she sings about being more "unfucked". Diane essentially played two shows back-to-back that night, once at 7:30pm and another at 9:30pm. 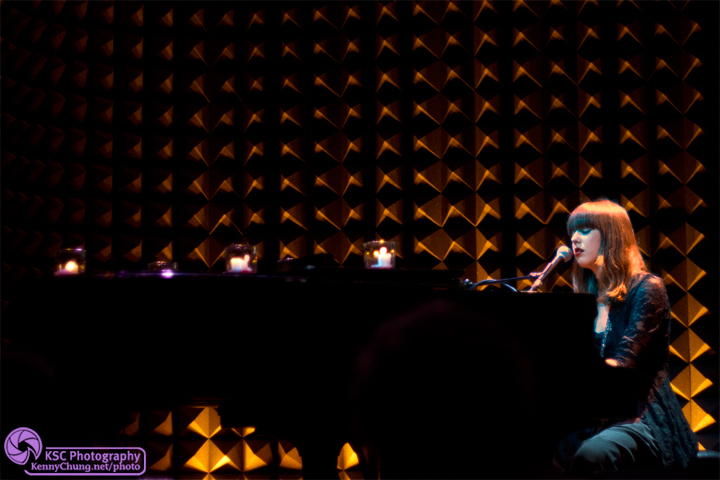 These photos are from the earlier show, but luckily Joe's Pub was Livestreaming both, so I was able to catch the second show as well. 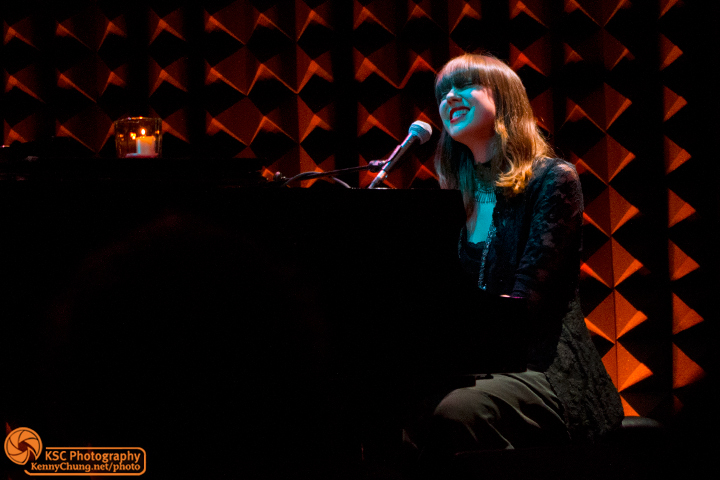 If you get a chance to watch Diane Birch live (streaming or otherwise), definitely do it! 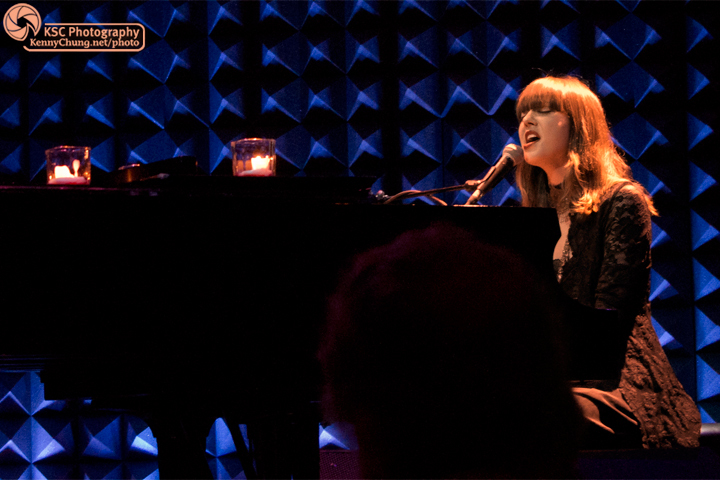 Armed with just a grand piano, microphone, and endless talent, Diane Birch took the stage leading off with "Fire Escape". Diane played most of the tracks from her debut album "Bible Belt", including my personal favorites "Nothing But A Miracle", "Rewind", "Ariel" and "Fools". 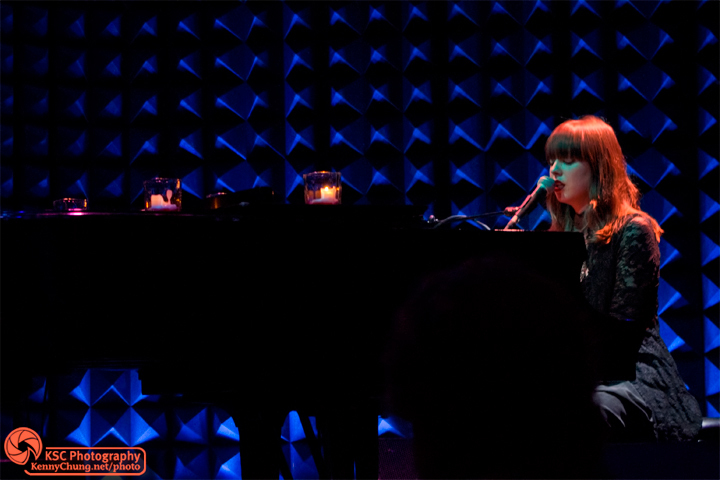 Diane Birch also spoke about how 2011 was not a great year for her, citing many reasons to write breakup songs... but that she was doing great in 2012 and looking forward to a new full length album! 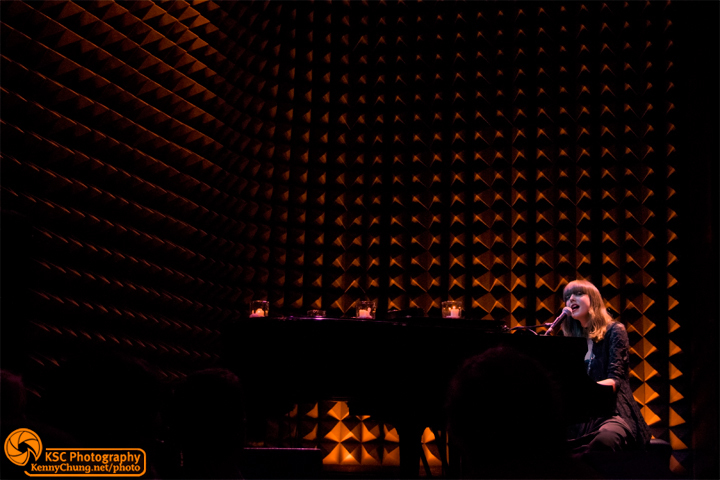 If most of these photos look similar, it's because Joe's Pub is a seated venue with dinner tables. 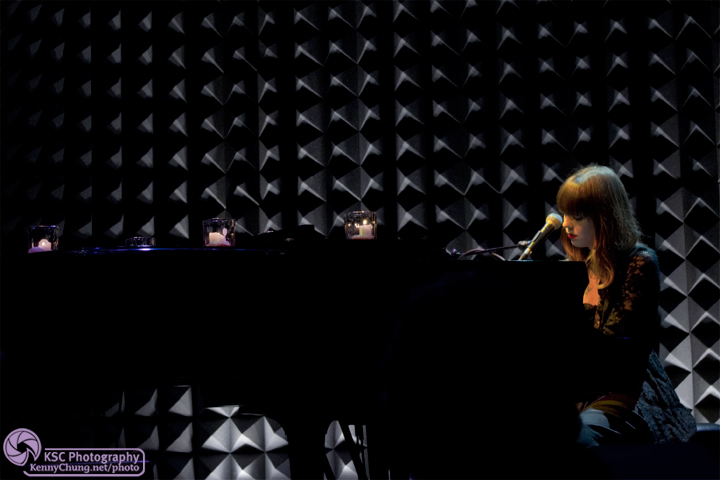 Not your average concert space, but luckily the sound system was superb and did justice to Diane Birch's voice. Diane described the 7:30 pm crowd as "very well behaved", but I think everyone was just in awe of her spot-on vocals. Attendees of the 9:30pm show were treated with an extra encore song, and a cover of Haddaway's "What Is Love". Good thing I was able to watch it on Livestream!